However, commercially available services, while still technically VPNs, function similarly to proxies by providing a remote gateway to the Internet. But the question remains: Why do you need a VPN? For the home user who sparingly uses the Internet, connects through a single computer’s wired network and isn’t overly concerned with anonymity or privacy, the answer is: You probably don’t. However, if you don’t fit this description, you might gain several benefits by using a VPN. When you connect to the Internet through your Internet Service Provider, your computer is assigned an Internet Protocol address. This IP address identifies your ISP’s (and your) geographical location, aids sites in collecting data on you and can lead a well-connected investigator directly to your door. Unless you’re engaged in nefarious online deeds, the latter scenario is probably of little concern, but for the privacy minded, the former two scenarios might raise an eyebrow or two. And even if you aren’t traversing questionable sites, there’s little point in giving sites more information than you have to. And that’s where a VPN comes in. When connected to a VPN, all requests go through the VPN server, which in turn connects to online resources on your behalf and redirects data back to your computer. This intermediary function replaces your true IP address with that of the VPN, so websites and peers cannot identify you, your IP address or your location. In this scenario, the only entities that can associate your IP address with the site in question are you and the VPN. Not even your ISP can make that connection, because it doesn’t know what sites you’re visiting. You can traverse the globe online even without a VPN, but some resources, such as country-specific broadcasts and websites, are only available to local users. If your VPN provides multiple servers, you can optionally connect to servers all over the world to view content that would otherwise be blocked. Although not recommended, making yourself appear to be a local user could also theoretically circumvent fees associated with online services that charge for international connections. One of the most compelling advantages to using a VPN is encryption. When connected to a VPN, all your data to and from the VPN server is scrambled, so anyone who might intercept your data would be unable to decipher it. This is particularly useful for mobile devices, such as laptops and smartphones that connect to insecure public hotspots. In such environments, morally reprehensible thieves could eavesdrop on your connection and collect virtually anything you submit, including passwords, emails and photos. 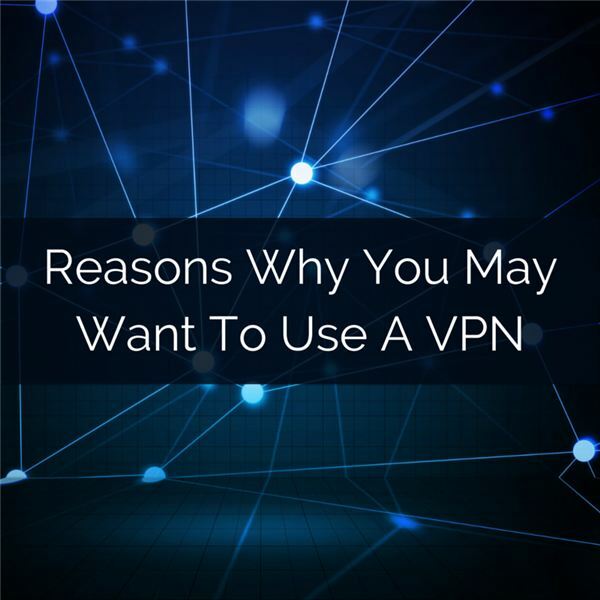 However, by establishing a connection with your VPN on such hotspots, your data becomes an incoherent mess to any unauthorized users. The benefits aren’t limited to public hotspots. While you’re indeed safer on a home network with the recommended WPA2 wireless encryption and strong, random password, you’re not completely out of the woods. There’s always a possibility of in-range hackers breaking into your network, especially if you fail to follow the aforementioned encryption recommendation. Employing a VPN on your home network prevents any intercepted data from being read, just like it would on a public hotspot. Furthermore, ISPs have been known to snoop on their users. Whether this is solely watching ports to block peer-2-peer traffic or collecting of personal and identifiable data, you probably don’t want your ISP Big Brother watching your every move. It wouldn’t even matter if you use a wired connection or the strongest wireless encryption in the world. By the time your data reaches the ISP, it’s visible unless the website uses a secure connection or you use a VPN. If you’re a frequent international traveler, a VPN is a must. Not only does it protect your data, but it circumvents Internet censorship. As an example, China’s Great Firewall blocks many staple sites, such as Facebook, YouTube and oftentimes Gmail. If you need access to such sites, sign up for a VPN before leaving home, because the VPN’s domain might be blocked once you’re in your destination country, preventing you from signing up after arrival. VPNs get around censorship with a combination of the above merits, namely by tunneling to a country where they don’t censor and preventing the censoring country’s ISP from seeing the sites to which you connect. There are a few downsides to a VPN, although not as significant as the upsides. For one, a decent VPN will set you back about $10 per month, plus or minus. You can drastically reduce this expense by opting for an annual account that oftentimes cuts the average monthly costs to about half. If your primary concern for a VPN is circumventing censorship, you’ll need to do heavy research to ensure the VPN works in the country to which you’re traveling. China, for one, aggressively combats VPNs, so only a few of them actually work well in China. Furthermore, the cat-and-mouse game between censoring countries and VPNs change frequently, so there’s no guarantee a VPN that works now will continue to work tomorrow. You’ll also take a small performance hit when using a VPN, because you’re routing all traffic through a remote node. This speed degradation is minimized if you use a reputable company that doesn’t overload its servers, but even then, you might experience periodic slowdowns. In such cases, simply changing to a low-load server will often bring you back up to optimal speeds. Finally, your security is only as good as the VPN itself, so make sure you use a reputable company. Remember all of your traffic is going through the VPN and will be accessible to the service. If you skimp out and use a questionable or free VPN, you might be handing over everything you do to a single entity, much like the ISP you’re trying to keep out of the mix. Look for services with strong reviews that value privacy and anonymity and don’t keep data logs.